We Pride Ourselves In Our Knowledge Of Auto Body Repair Services To Get Your Vehicle Back On The Road. At Roberts Collision Center, our trusted I-Car certified technicians have years of experience on handling any auto body repair and collision repair service your vehicle may require. 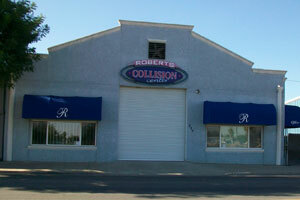 Located in Hanford, our state-of-the-art shop is equipped and ready to serve all your collision repair needs. We also have the equipment and training to handle aluminum body repair services. We understand that accidents and repairs can cause a great deal of stress, and that it’s very important that you get your car restored to pre-accident condition by people you can trust. That is why we only hire highly trained licensed and insured technicians. When you bring your car here, you know that your car will be taken care of properly, and professionally.